Something Common was first shown as part of Periodic Tales: The Art of the Elements at Compton Verney, Warwickshire, 3 October – 13 December 2015. 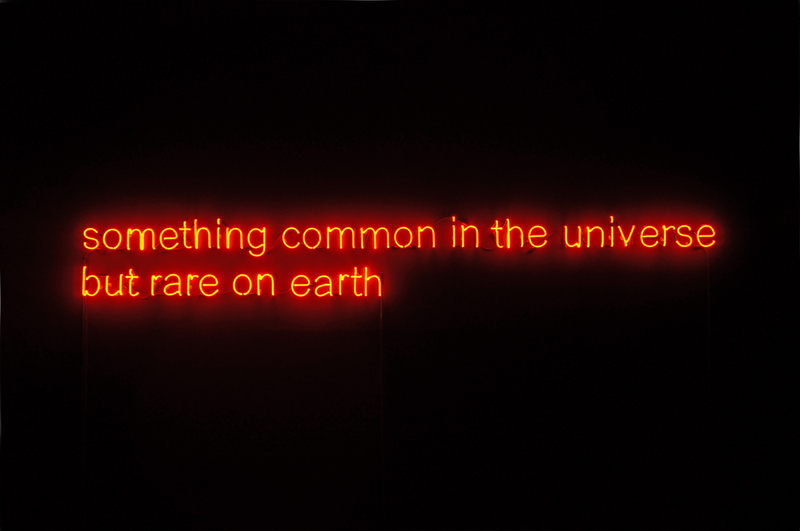 A neon spelling out an ambiguous descriptive phrase – ‘something common in the universe but rare on earth’ – Etchells’ work invites us into a guessing game about the identity of the ‘something’ indicated in the text. What is it that occupies this position of abundance in one place and scarcity in another? What things, or kinds of things – material or ephemeral and abstract – might we describe as being ‘rare on Earth’? 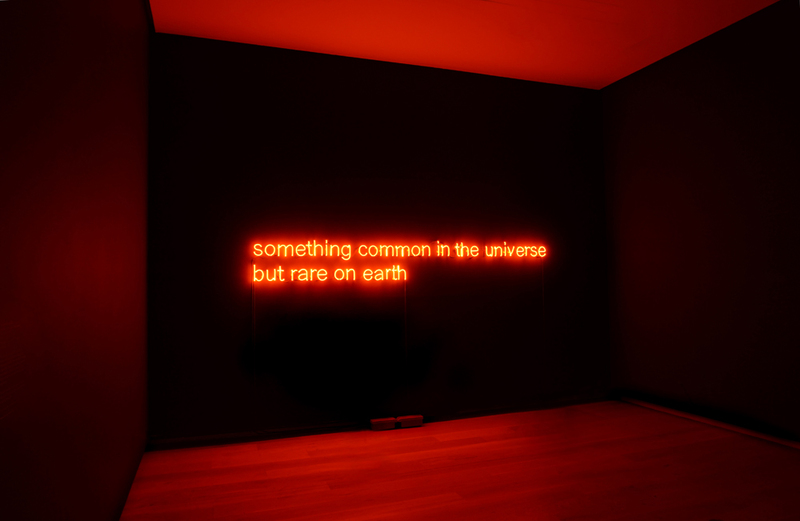 The phrase, in fact adapted from a science text about Neon itself, describes the status of the element on Earth and in the Universe, drawing attention to its local scarcity.